nendo's extensive, idiosyncratic body of work flows seamlessly across disciplines, and is executed in every medium imaginable – from paper clips to watches, shoes, chocolates, glassware, and furniture, all the way up to store interiors and freestanding architecture. Featuring more than 1,000 images that trace the studio's evolution and prolific output over a 15-year period, this visually rich and fascinating survey offers exclusive insight into the playful, simple, enigmatic, but always expectation-confounding designs from one of the industry's biggest names. 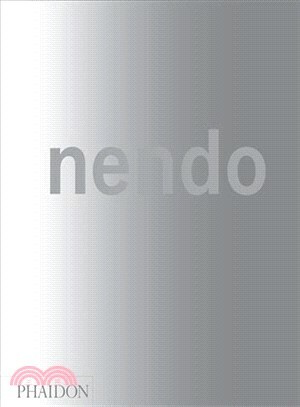 nendo is a Tokyo-based, multidisciplinary design studio, established by Oki Sato in 2002. Notorious for its prolific output (an astounding 100 products are said to be released by the studio each year) nendo is the recipient of numerous awards and its work is held in collections worldwide, including the Museum of Modern Art, New York, the Centre Pompidou, Paris, and the Design Museum, London.